A quick, easy, and delicious single serving protein packed cookie with the amazing flavor combination of chocolate and peanut butter. A decadently guilt-free version of the sinful original! Just whip it together before your workout, pop it in the freezer, and you'll have a delicious protein packed treat post-workout! 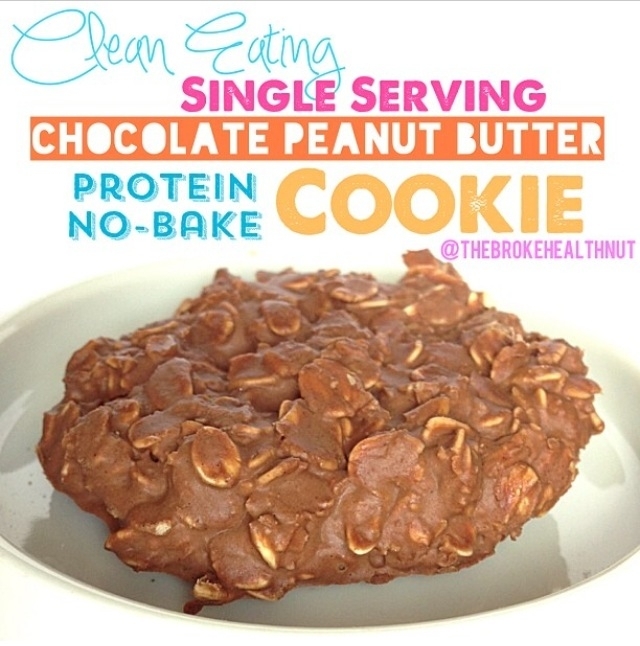 In a bowl, combine the protein powder, pb2, and cocoa powder. In another bowl, melt the coconut oil in the microwave. Add milk and stevia to the melted coconut oil. Microwave for about 40 seconds or until it begins to boil. Stir, then add liquid mixture to the powder mixture and mix well. Stir in oats until well combined, then add in honey and mix. Drop mixture onto a parchment lined plate and freeze for 30-45 minutes.